Quote: " They [Amazon] have raised the bar re author royalties and whilst many publishers have started to raise the digital royalties, they all too often pale into insignificance compared to those offered by Amazon and followed by their competitors." You're joking aren't you? Either that or you've not looked at ebook retailer contracts. I recently did a comparison among the major ebook retailers. At every price level, Amazon paid the least, often substantially so. The pattern was clear. Apple with its flat 70% at all price levels and no download fees was the most generous among the major retailers. The others (i.e. B&N) were better, but primarily because they aimed at beating Amazon by just a little bit. For instance, for a $1.99 ebook, Apple pays $1.40 while Amazon pays only $0.70, half as much. Or for a $19.99 textbook or professional guide, Apple pays $14, Amazon only $7, pocketing $13 for doing no more than process a financial transaction and download a file. Those who gush over Amazon are making a basic mistake. They're confusing a retailer who does literally nothing to promote their ebook, burying it among millions of others, with a publisher whose is likely to have edited and proofed their ebook and has at least some intent to promote it. Don't get me wrong. I think publishers are, at this very moment, making far more than they deserve by paying ebook royalties that are too low. But I also think that many authors are being fools when they think that Amazon is their friend in this dispute. On the contrary, Amazon has seen those lush ebook profits and it rushing to grab them for itself. That's the essence of this Amazon v. Hachette dispute. If Amazon wins, authors will lose what chance they have to raise their royalties. And if Amazon can whip the major publishers, independent authors don't stand a chance. They'll see their ebook royalties drop like Amazon affiliate Audible's royalties recently dropped. Currently Amazon pays only 35% of retail outside the narrow $2.99 to $9.99 price range. Look for that 35% to be applied at all prices. For most authors the result is easy to calculate. 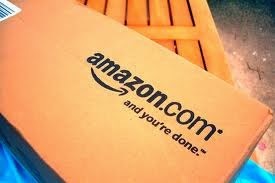 Simply take your current income from Amazon and cut it in half.